Product prices and availability are accurate as of 2019-04-17 17:13:07 EDT and are subject to change. Any price and availability information displayed on http://www.amazon.com/ at the time of purchase will apply to the purchase of this product. 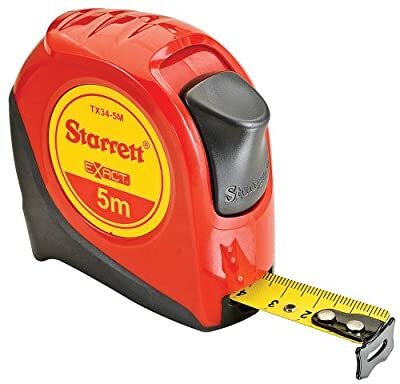 Produced of high durability ABS plastic for extended case life, these tape measures offer overmold for improved grip. Their ergonomic design fits comfortably in the hand and incorporate industry standard standout, and improved blade protection. belt clips.